AOMA is committed to student success and academic achievement. 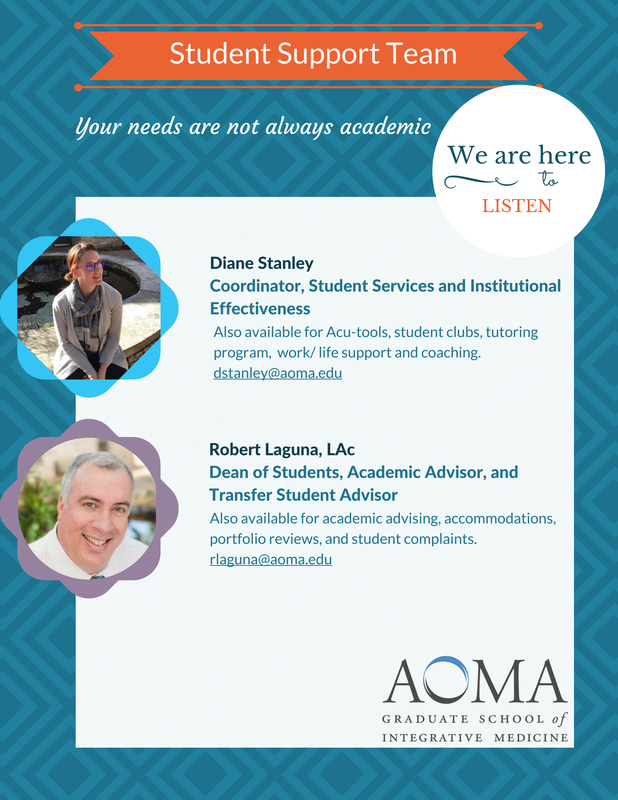 To that end, AOMA provides academic support services that can assist students in developing the level of skills and knowledge that are needed to achieve academic success. The academic support pages offers students information regarding course schedules, clinical internship, advising, tutoring, faculty office hours and contact information, the library, and tech support.